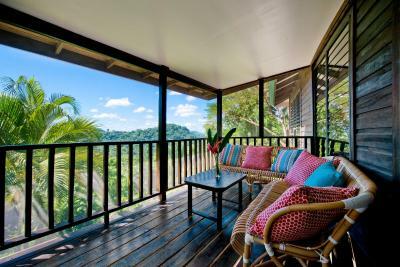 Lock in a great price for Copal Tree Lodge a Muy'Ono Resort – rated 9.5 by recent guests! 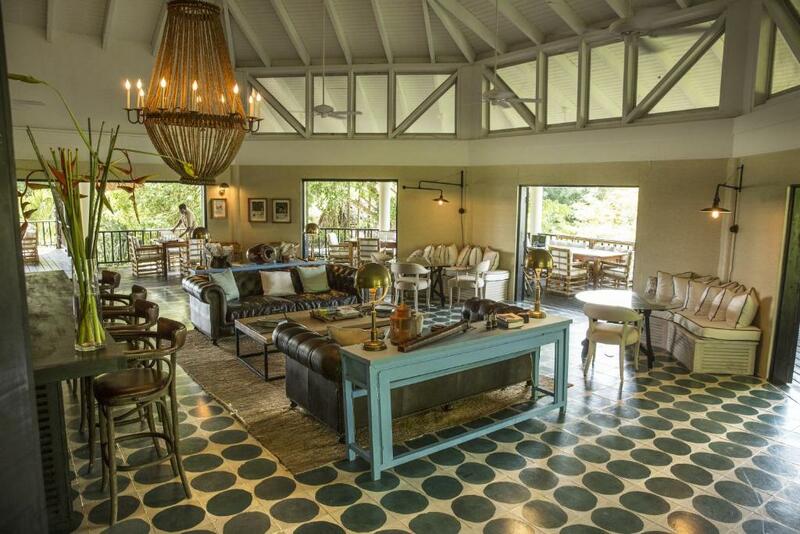 Unbelievably beautiful property and location. 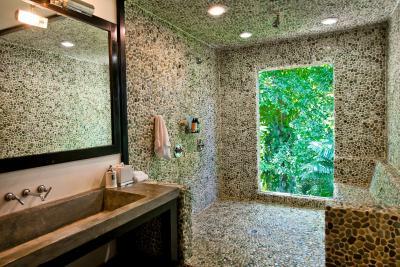 It is definitely a luxury rainforest resort. Never been to a place like Copal Tree, not sure if there could be other places like it. Location. Spectacular views of the jungle. Informative, friendly guides. Near well maintained Mayan ruins with few tourists. The lodge is amazing. The staff are very friendly. Nice hiking trails. Beautiful location. 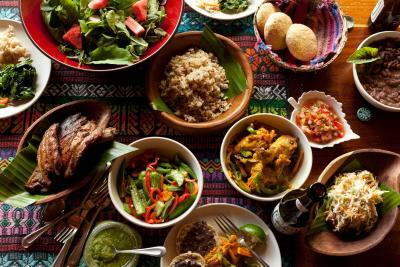 Food is very nice. This is a beautiful place with great staff. My family had an awesome time. Food is excellent. Guides were so knowledgeable. This is a wonderful area for people who don’t want to hang out with a gazillion tourists. 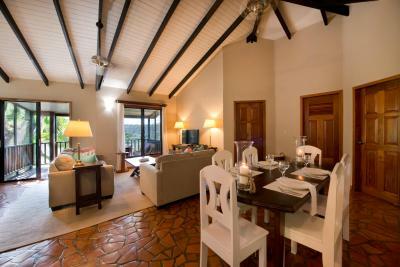 We stayed in the family villa which was excellent - would strongly recommend. Drie dagen verbleven wij in dit hotel. Leuke gemoedelijke sfeer en je komt hier goed tot rust. De bar is gezellig en de barman doet uitstekend zijn best om originele cocktails te maken. Het restaurant is origineel en je zit eigenlijk buiten op een veranda wat om het gebouw heen zit. Service is erg vriendelijk en het personeel is oprecht geïnteresseerd in je bevindingen. De keuken vonden wij tegenvallen. De voorgerechten, met vooral de salade zijn te groot. De kok kwakt er van alles in en maakt er een 'doe het zelf maar pakket van'. Deze terug gestuurd (zie foto). Af en toe was het hoofdgerecht prima bereid. Drie dagen verblijf was lang zat. הכל! וילה משפחתית מהממת, שירות מעולה, אוכל טעים, מלון ברמה עולמית בתוך הג׳ונגל. חוויה מיוחדת במינה. 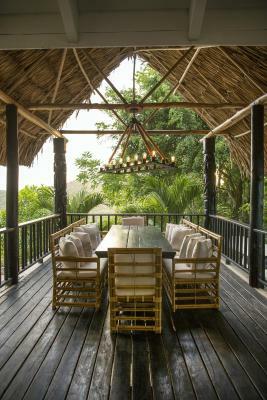 Copal Tree Lodge a Muy'Ono Resort This rating is a reflection of how the property compares to the industry standard when it comes to price, facilities and services available. It's based on a self-evaluation by the property. Use this rating to help choose your stay! 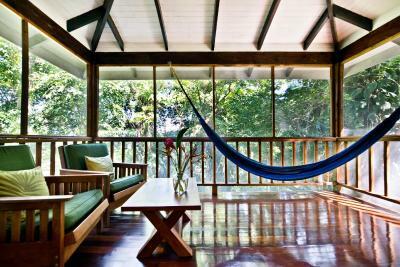 Located in Toledo Settlement, Copal Tree Lodge provides accommodations with free WiFi, air conditioning and access to a garden. 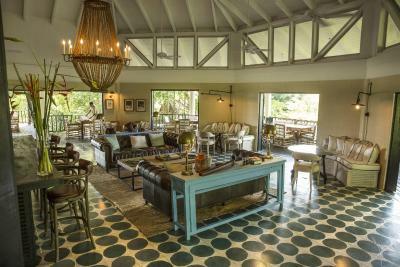 Guests can dine in the on-site restaurant, which serves a variety of local dishes. This property also has one of the top-rated locations in Toledo Settlement! Guests are happier about it compared to other properties in the area. This property is also rated for the best value in Toledo Settlement! Guests are getting more for their money when compared to other properties in this city. 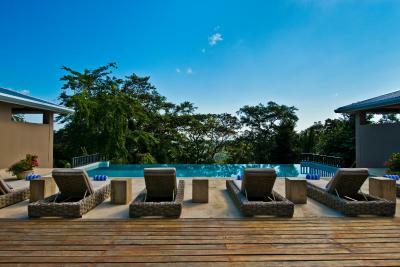 When would you like to stay at Copal Tree Lodge a Muy'Ono Resort? This double room has a mountain view, seating area and bathrobe. 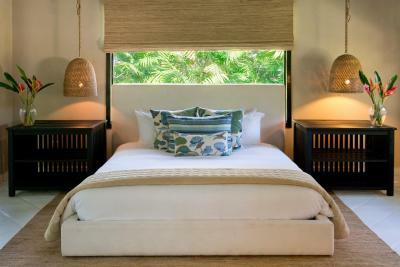 This suite has air conditioning, private entrance and private pool. 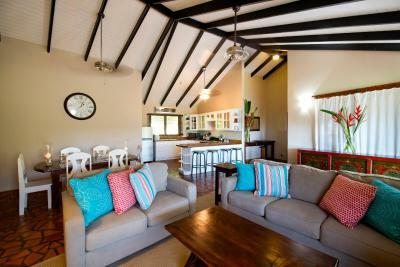 This villa features a sofa, oven and seating area. 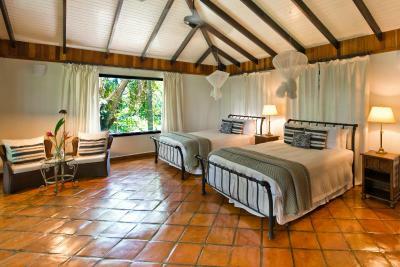 Belcampo Lodge is a home away from home for the discerning traveler looking for a special jungle vacation. Our luxury accommodation, excellent food, personalized service and sustainability concept all combine to create a memorable experience for our guests. 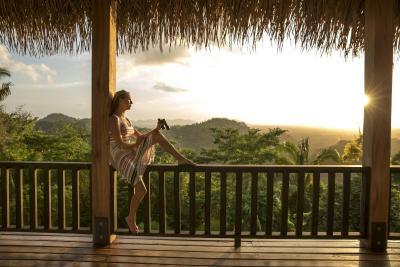 House Rules Copal Tree Lodge a Muy'Ono Resort takes special requests – add in the next step! 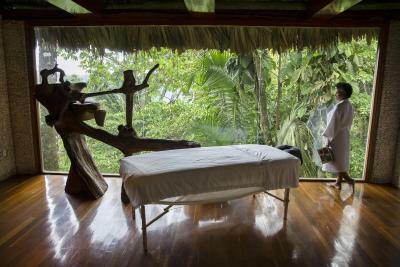 Copal Tree Lodge a Muy&#39;Ono Resort accepts these cards and reserves the right to temporarily hold an amount prior to arrival. Copal Tree Lodge a Muy'Ono Resort accepts these cards and reserves the right to temporarily hold an amount prior to arrival. 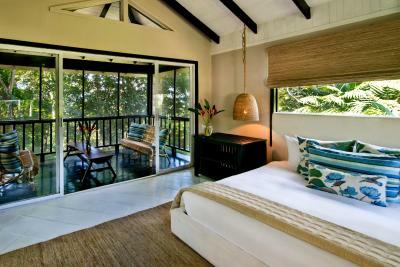 Please inform Copal Tree Lodge a Muy'Ono Resort of your expected arrival time in advance. You can use the Special Requests box when booking, or contact the property directly using the contact details in your confirmation. It’s in the middle of nowhere, so once there your pretty confined to their property and activities. Perfect place if you want to unplug and explore nature, but not ideal if you want to experience the people. This is a wonderful and special place and there was absolutely nothing we didn't like. Just know that you have to pay extra for everything. Pool area is small and in the shade almost all the time. I thought the jungle cruise was really nice but for $100/person, more substantial snacks would have been better. nothing, you cant beat howler monkies at night, toucans in the morning, and more fun things to do than you could shake a stick at. I think all beds in this level of accommodations should be dream clouds I had to move to the sofa as it was too hard.